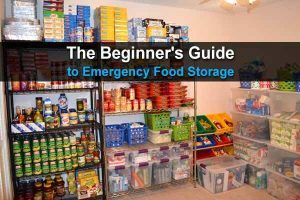 You don’t need to be a full-blown survivalist to make it through an urban disaster. While vast stockpiles of food, water, and other supplies would indeed be quite beneficial, skills trump stuff every time. 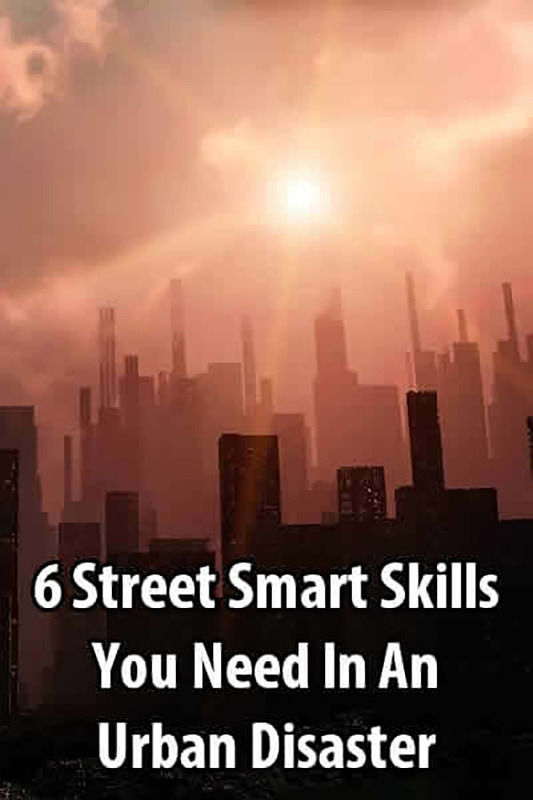 Whether you’re concerned about civil unrest, power outages, or a pandemic, here are six skills you should learn as soon as possible. In a nutshell, situational awareness boils down to taking off the proverbial blinders and paying attention to the world around you. Entirely too many people walk around all day with their heads buried in their smartphones or tablets. While being able to communicate instantly with virtually any other human being in the planet is awesome and all, these devices have become all consuming for many people. The end result is folks go through their day on autopilot. Here’s the thing. Let’s say you have two people walking down the sidewalk. One has their head up, taking in the sights near and far. The other is busily reading the headlines on their phone as he bumps and shuffles his way along. All other things being equal, which one do you think a mugger is going to pick for their next victim? Projecting an air of confidence is a great idea, of course, but even better is keeping your head up so you can see what is going on in your immediate area. Pay attention to potential threats to your safety so you can react quickly if need be. In the United States at least, a significant percentage of the population seems to be starving for attention, to one degree or another. They want to be noticed and they want to be remembered. This is extremely counter-productive when we talk about survival situations. The last thing you want is for someone to remember you as being the guy or gal who was always buying a ton of food at the grocery store. A far better plan, just as a matter of course, is to do what you can to blend in with those around you. Avoid flashy outfits or tons of jewelry, even if you can afford it. Looking nice is perfectly fine, looking like you’re constantly trying to flag down a taxi is not. Earth tones are usually best, even in an urban environment. Bright colors are eye catching, which is the opposite of what you’re trying to accomplish. Part of this goes hand in hand with situational awareness. You need to pay attention to how people around you behave and act accordingly so as to blend in. Now let me preface this by saying that if you live in an area that allows for concealed carry of a firearm, I encourage you to explore that option. Seek out the proper training and go through the licensing process if a license is required. That said, learning how to defend yourself without a firearm is important. If you cannot possibly fathom a situation where you would not have ready access to a firearm, you simply lack imagination. Taking a martial arts class will not only teach you how to defend yourself, you’ll learn how to fall properly so as to limit injury. Plus, you’ll gain a great deal of self-confidence, which will go a long way toward limiting violent encounters. Muggers and the like tend to pick on the folks they view as being weak or insecure. There are a ton of different martial arts out there, from very traditional to very modern. While your choices will be limited to the arts being taught in your area, here are a few specific martial arts I recommend, if you can find a reputable school and teacher in close proximity. Krav Maga – This is a very practical martial art that originated in Israel. It was designed to be brutally effective, ending a fight as quickly as possible. Kali / Arnis / Eskrima – It goes by a few different names but for our purposes, they are essentially the same art. Eskrima is a weapon based system, teaching students how to utilize sticks and knives as well as empty hands. Ninjutsu – Yes, there are true ninjas out there. Far from the black-pajama-clad faceless warriors you see in the movies, ninjutsu is actually a very well rounded martial art. Students not only learn hand to hand combat but a host of other skills, such as healing as well as stealth. Jeet Kune Do – This art was founded by Bruce Lee and is sort of a combination of several different martial arts, including American boxing and wing chun. The basic idea was to take the best techniques from here and there and combine them into a very practical fighting system. As with so many skills, technology has spoiled us. I mean, when was the last time you actually pulled out a paper map from the glove box and used it to navigate to a destination? Do you even have a paper map in your car? GPS is a wonderful tool, provided it is working properly. Prepare for the possibility that it isn’t and learn how to navigate the old-fashioned way. This starts by fostering a good internal sense of direction. Buy a decent compass and test yourself from time to time and try to determine which direction you’re facing, using the clues available around you (sun position, constellations, knowledge of the general area, that sort of stuff). If you practice this on a regular basis, it shouldn’t take too long before the compass in your head is fairly well tuned. At the same time, take some day trips and turn off your phone or at least don’t access the GPS feature. Buy a paper map at the gas station if you don’t already have one and use it to navigate to your destination. The more often you do this, the better you’ll get at it. Many urban dwellers, particularly those living in apartments, condos, and townhouses, rely upon electricity for cooking. The oven and stove top are electric rather than gas and obviously, the microwave is plugged into an outlet. 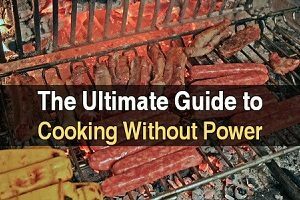 In a power outage, you can certainly use the gas or charcoal grill on the patio but what if you’ve run out of fuel for them? Fortunately, there are a few other options to consider. First, those patio fire pits, the ones that have become so popular it seems as though there must have been a law passed requiring every homeowner to buy one, works great for cooking. What I’ve found works particularly well is to take the grate from your grill and place it over the coals in the fire pit. A rather quick DIY project called a Buddy Burner can also be a great solution. Take an empty, clean tuna can and fill it with strips of corrugated cardboard, spiraled into the can so the little “holes” of the corrugation face upward. When the can is filled with cardboard, fill all those little holes with melted crayons or candles. When the wax is cool, the burner is ready to use. Simply light a match and lay it on the wax to get it burning. It takes a minute or two for it to really start up. Then, place rocks or bricks on either side of the burner and place your cooking pot on them. When it comes time to douse the flame, just place a pot lid or some aluminum foil over it to smother the flame. Of course, there’s always the old-fashioned campfire. Be sure to keep safety in mind and build your fire only where it is far from any other combustibles. 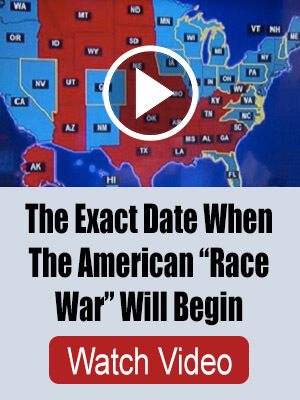 The last thing you want to do is set your garage on fire, right? All of these options do require some practice, though. Cooking over an open flame is as much art as it is science. Do yourself a favor and cook using one of these methods from time to time so as to become better acquainted with them. This skill can be somewhat difficult to learn if it isn’t inherent but, really, it is more a matter of changing your perspective a bit. See, the thing is, the “right” solution to a problem might not be available in the aftermath of a disaster. So, you’ll have to make do with what you have in order to get by, even if just temporarily. One way to foster this skill is to make a commitment to repurpose or reuse as much stuff as possible, rather than just tossing it into the trash. For example, those plastic, clear top, containers you often get when ordering take out? They make awesome mini-greenhouses. We start a lot of seeds in those sorts of containers. 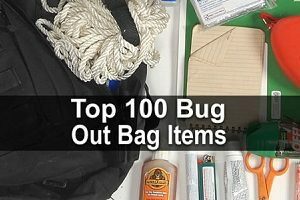 Other plastic containers, such as the ones for gum or mints, can be used for storing little odds and ends for your survival kits, sewing notions, and the like. If you have children, you’ve no doubt come across the wire ties they use nowadays in most toy packaging. These ties are actually very strong and work great in place of nylon zip ties in many applications. The basic idea is to look at junk in a new way. Try to come up with as many different uses for things as you can before just tossing it away. 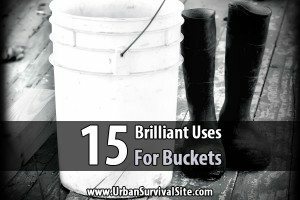 Not only does this help reduce your impact on the environment but it helps get your brain used to creative thinking, an essential survival skill.